When I arrive in Hong Kong I go straight to one of the tea houses; they’re such havens of peace. People go to them to buy old pu er; traditionally, the vendor sits opposite you and, after looking at you for a few moments, puts the water on to boil. They break off a piece of the tea cake, and you talk together about this and that, and about tea of course. You compare the different waters, because the same tea is infused several times over. From one tea to the next, one cake to the next, the minutes – sometimes the hours – pass by, interspersed with the sound of our little gulps: here, tea is drunk from tiny cups, like those used in the Gong Fu Cha. 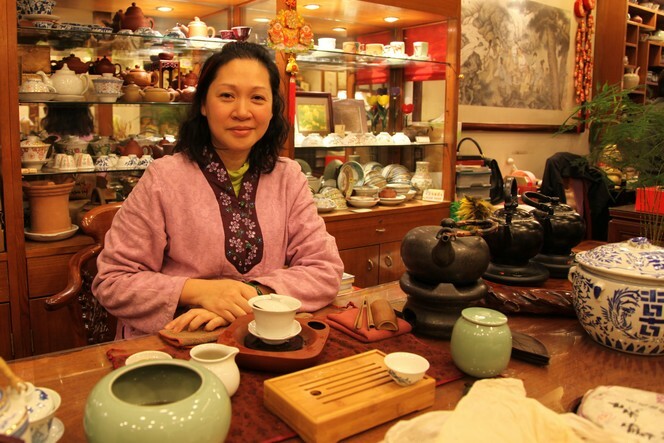 A student of Yip Wai Man, Eliza Liu has one of these tea houses in the Mongkok district, and teaches her many devoted customers all about tea in an informal manner. Yabo Cha Fang is a friendly place with a special atmosphere, a mysterious charm, like Eliza’s smile which I have captured here, as she crosses her hands in the style of the Mona Lisa. 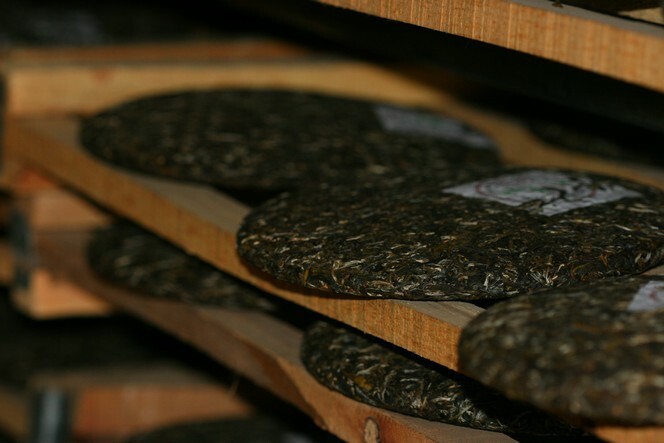 You can’t serve a slice of Pu Erh “cake” on a plate. Nonetheless, this tea is traditionally consumed on feast days in China. 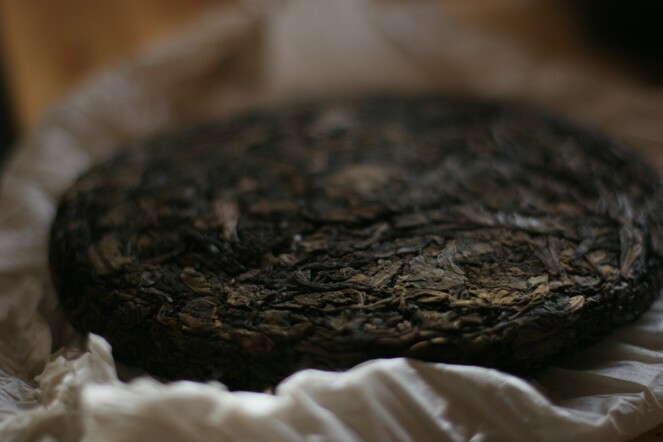 The Pu Erh cake used to be known as a Tribute tea and would be offered as a gift to the Court, in honour of the Chinese Emperor. 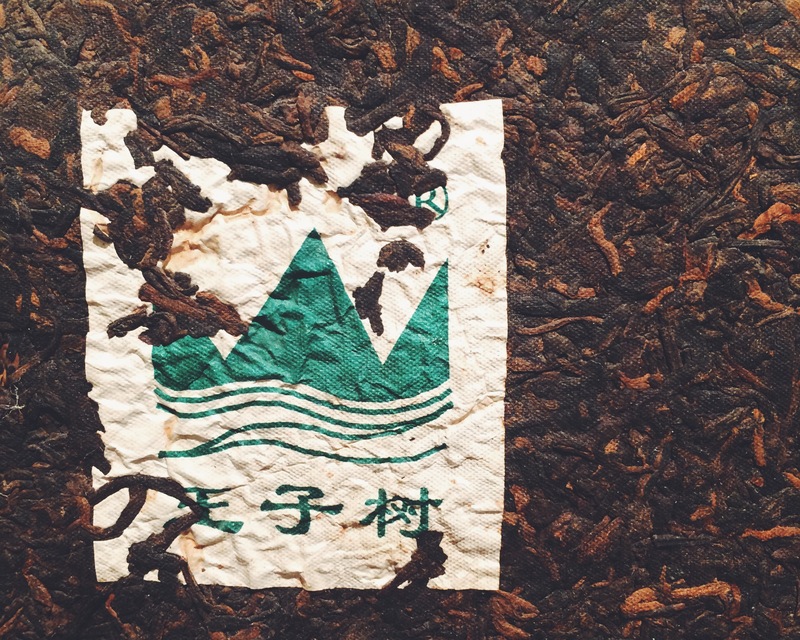 It is a tea with a long and venerable past. 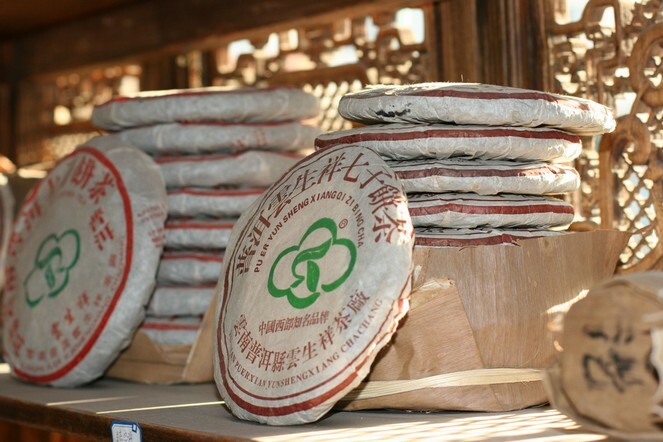 Are the Chinese right to call Pu Erh the “fat-eating tea” because it apparently aids weight loss and lowers cholesterol? I have no idea, and have to say that I am not particularly interested in the health-giving qualities of dark teas, which I enjoy for their flavour. 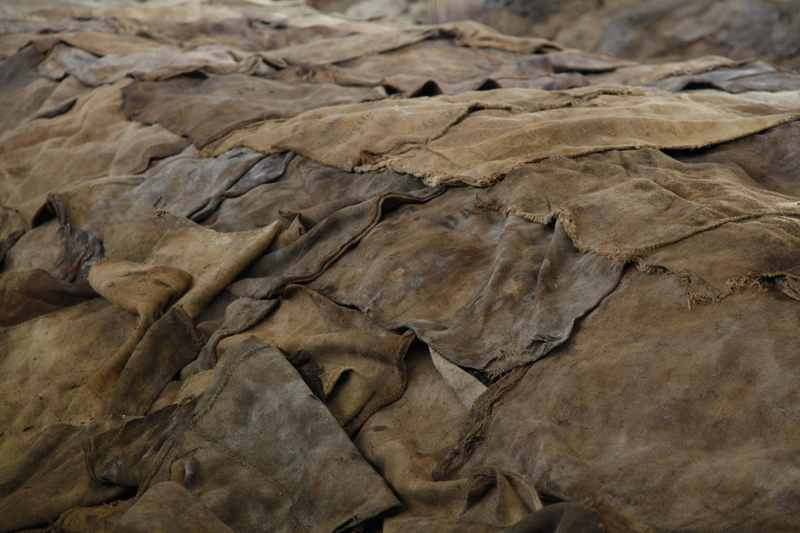 Pu Erhs have an incredible aromatic richness, taking you through wood and undergrowth, with the whiff of stables, leather and damp straw. A pure delight! 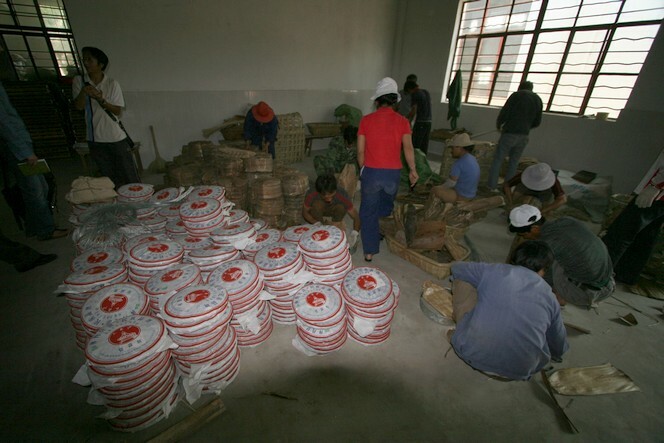 In this photo you can see freshly moulded “cakes” of Pu Erh. 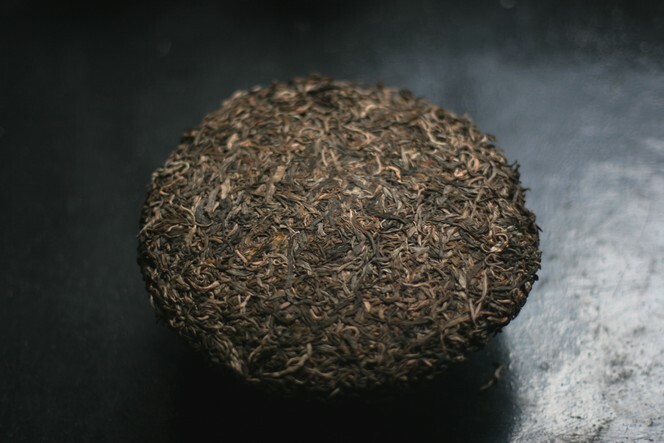 This is a green (or raw) Pu Erh, as you can see from the colour of its leaves. 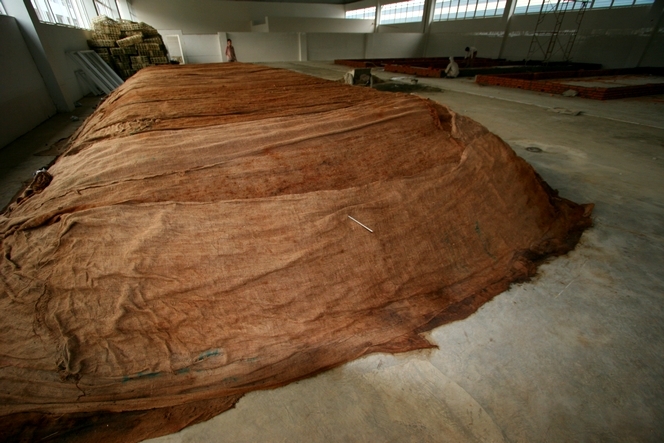 It has not been covered for the fermentation process. 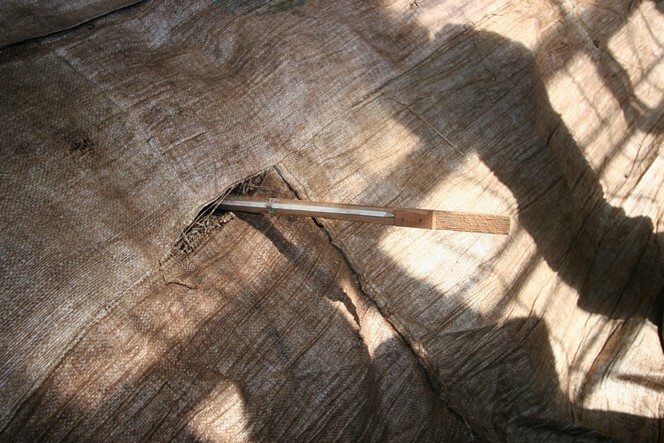 Depending on the conditions in which it is stored, it can continue fermenting year after year, often improving with age.